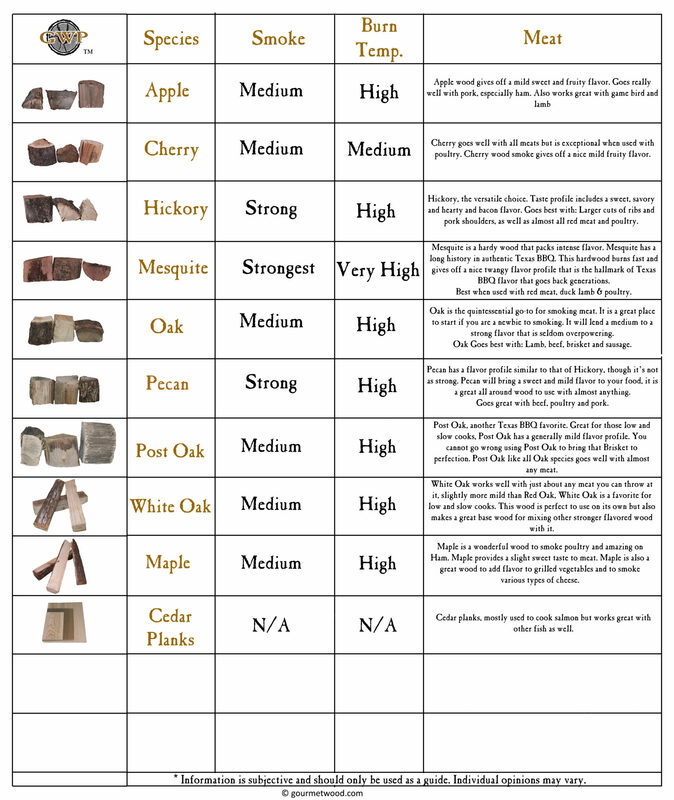 Product Guide - Gourmet Wood ® Products, Inc. The Cut of the Wood. accommodate all types of equipment used in the cooking process. 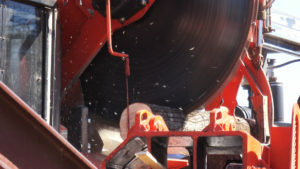 Our most common dimensions are Chips, Chunks, 11 inch Mini logs, 16 inch logs, Pizza Cut Logs (Smaller Diameter) and Cedar Planks. smoking. It does not extend burn time, and creates steam instead of smoke which can negatively affect your end product. 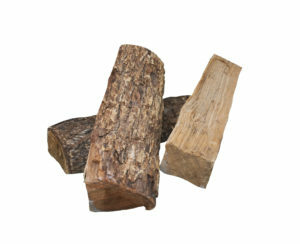 Our premium wood chunks come in a convenient 3” X 3” X 3” Inch size. Perfect for those that have your standard back yard grill and those that have limited room for larger hardwood logs. Soaking the wood chunks in water is not necessary, just place a few wood chunks directly on your pre-heated charcoal to start the smoking process. It is recommended to do this before placing the food on the grate as wood chunks can increase the temperature. 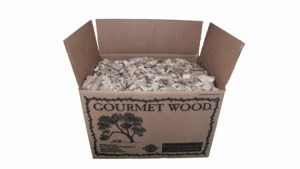 Gourmet Wood® manufactures 11” Mini-Logs and 16” Full sized logs for use in larger professional grade smokers and grills. This cut of hardwood is intended to burn longer and hotter than smaller cut wood which makes it perfect for food production in a restaurant or competition environment. Cut” wood of almost all the species we carry. Pizza split logs are thinner than our normal 16’’ logs. Approx. 16″ X 2″ X 2″ Pizza split logs offer a smaller form factor that works great with Industrial and custom made grills with smaller diameter wood trays. 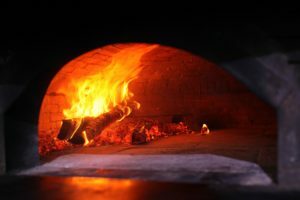 Pizza Split also burns hotter faster, which makes it an excellent choice for Wood fired Pizza Ovens. Honey Mesquite, Pecan, Hickory, Oak, Post Oak, White Oak, Maple, Apple, Cherry & Cedar Planks. Gourmet Wood® carries the most sought after species of hardwood. Different species produce different flavors. While taste is subjective, use the guide below as a reference.